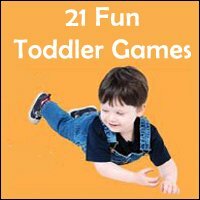 Get ready for a bunch of fun games for toddlers and - and I bet you SO need some of those! We all do! No shame in that! 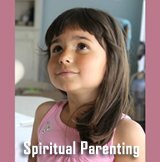 Fun, unique and energetic (and perhaps short-tempered :-) - are all words you could probably use to describe your toddler. Extraordinary little people with a couldn't-care-less attitude and an urge to do everything at 10 million kilometers per hour. However, despite perhaps giving the impression they have the concentration span of a goldfish, do not be fooled - toddlers are constantly taking in their surroundings and absorbing selective information like a sponge. This is why, despite patiently teaching your toddler to count, it is the swear word she overheard you say once - just that one single time - that she proudly shouts in the middle of the grocery store. Toddlers do not miss a thing and are constantly looking for something to do and learn. What a wonderful attitude and what a grand potential! 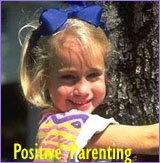 They are also at a crucial stage in their development, as they make the transition from baby to preschooler. Keeping a young kid entertained is often easier said than done, especially as parental supervision or participation is so often needed - hence the need for fun activities for toddlers. You will not find many toddlers who do not appreciate running around in the fresh air, no matter what the weather. Therefore, fun games for toddlers that involve the great outdoors will always be a sure-fire hit with your youngster. This simple toddler game may look like every parent's nightmare on the face of it but it promises hours of fun. All you need are several water balloons, sidewalk chalk and water. Fill up the balloons and draw targets with the chalk straight onto the sidewalk. 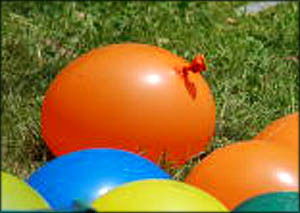 Encourage your toddler to throw the balloons and hit the targets, gradually moving him further and further away. This fun game is not as messy as it sounds and is nothing that a pair of wellingtons will not put right. If you want to put an educational slant on the game, write numbers on the sidewalk and ask your toddler to hit the numbers in a random order. In this one of the outdoor games for toddler, your kid gets to play with her sense of balance and challenge it. Hold your toddler's hand while she gets up on the skateboard. Tell her to stand completely still and then let go - but stay close to catch your toddler if needed. Tell your toddler to sit on her bottom and use her feet to move back and forward. Find a piece of string and give one end to your toddler who is sitting down on the skateboard. Pull your toddler around and go for a little walk. Normal kites are difficult for a toddler to fly themselves, as well as being a possible crash and fall risk; you will need to rely on high winds to get the most from your kite flight. However, simply tying kite string to a helium balloon and tying it to your toddler's wrist, will give him all the fun of a kite experience without the worry of him becoming tangled up. You can also ask your toddler to decorate the balloon to give it some personality. Crepe paper kite tails will also add authenticity. You can do this kind of outdoor activities for toddlers with your little one when you are walking the dog or going to the store. You know, when you're doing something you need to do anyway! Like every other toddler your toddler is probably also fascinated by phones. And really thinking about it, they are true miracles. A voice comes out of a 'thing'. Here is the recipe for a simple toy phone ... and it actually works. Find two empty and clean cans, and a long piece of strong thread or string. Using a hammer and a nail, make a hole in the middle of the bottom of each can. Take the string and lead it through one hole and tie a big knot so that the string can't be pulled out. Take the other end of the string and do the same thing with the other can. Give one can phone to your toddler and take steps back until the string is complete stretched (in order to work, it must not touch anything) and talk into the can. You can make this string very long, 20-30 meters should work just fine. Besides exciting your toddler, you can explain to him the very basics of how a stationary phone works (if you still have one of those) - that the voice travels along the line. This type of activities for toddler are great for improving coordination, training balance and fine tuning motor skills. 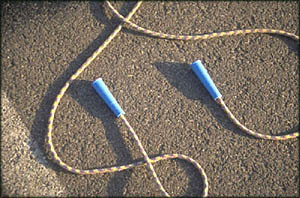 Find a jump rope or a thick piece of string - the longer the better and the more fun. Find interesting places outside where you put down the jump rope and let your toddler walk along it as if she were a line dancer. You can put the jump rope on the edge of the sandbox, down hills, up hills, right between the grass and the flagstones etc. This is a really simple game, but you can spice it up with some imaginary effects by letting your girl toddler dress up like a circus princess or finding some green clothes for your boy toddler so that he can imagine being Robin Hood climbing the thin branches in the Sherwood Forest. What better way to spend time outside than to go exploring the fascinating creatures of Mother Earth. (Obviously, if you live somewhere with dangerous animals, make whatever reservations you need. You most likely know better than I what to be careful of in your area. 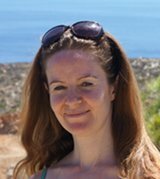 What you find on your trip will differ according to the weather. For instance if it has just rained you might find lots of snails, frogs and earthworms. Go look under stones - there you might be lucky to find some woodlice. Look on leaves to find greenflies or caterpillars. Bring some binoculars and sit tight and wait for some birds to sit down in nearby tree. Ants can be great fun to observe. Bring a few pieces of cut out apple the size of pinheads and put them near an anthill. Watch as the ants will come and pick up the apple pieces and carry them to their home. Be on the lookout for beautiful butterflies. This is also a great opportunity to teach your toddler how to be nice to the small animals, telling him how they are very fragile and that you have to be very careful with them if he decides that he wants to hold a ladybird. This one of the fun games for toddlers is great for improving his balance and precision skills. All you need is a vehicle for your toddler - a tricycle, or one of the great balancing bikes (they look like a normal bike but have no pedals) - and some pavement chalk. Go to a relatively big paved area where you know there is no traffic. Take your piece of chalk and draw a long line that challenges your toddler by going round in circles, following zig zag but also goes in a long straight line where your toddler can really pick up speed. You can also bring some colored paper or colored cloth in red and green hold up the red paper cloth when your toddler should stop and the green one when your toddler can go again. If your toddler's bike has a small handlebar basket of some kind, you also place various items (small stones for instance) along the route that your toddler has to pick up on his way. I probably don't need to tell you about the importance of physical exercise for development of both gross and fine motorskills. 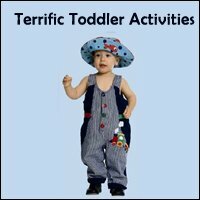 Here is a small free handbook with ideas for physical activities for toddlers. If the weather is grim outside a toddler's restlessness can intensify. Keeping them occupied with toddler activities they can play while you get on with your household chores is one way to prevent your blood pressure from rising. Egg decoration is a fun activity that will encourage your toddler to tap into his creative side. Maybe he can make an egg person for every member of the family, or an egg farmyard, or one of each primary color, or writing letters or numbers on them, or some combination of these - there are endless ideas that will keep him occupied for hours. All you need is blown out eggs (which is important if you don't want a mess), child-friendly paints or pens and whatever other bits and pieces you may have hanging around your home. According to the American Academy of Pediatrics, taking part in arts and crafts toddler activities encourages and strengthens your child's problem-solving and organizational skills. Again, these types of skills will come in extra handy when he is ready to attend preschool. This can also become an educational activity if you introduce numbers and colors. This fun toddler activity makes full use of your child's developing imagination. Set up a pretend grocery store in a safe corner of a room and give him a basket or paper bag. Use cans, empty boxes and tubs to stock the imaginary shelves in the grocery store. Make him some paper money (or use the money from a game like Monopoly) so he has something to spend and let him go wild in his very own store. If you want to join in, you can take it in turns being the shopkeeper or customer. This game teaches him about amounts and introduces him to the rather abstract concept of money. Encourage him to watch you count out change or ask him for a specific amount of something, such as two apples or three cans of soup. It is pretty much a given that toddlers enjoy noise, especially creating it. Of course not all, but most toddlers do. Therefore, helping him make a shaker bottle will give him the opportunity to get all his noise-making needs out in one go. 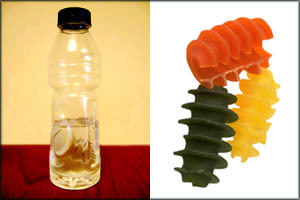 Simply wash out an empty water bottle and then add uncooked pasta or rice until it is between one fourth and half-full. Put the cap back on the bottle and show him how much noise the shaker can make. Show him how the sound changes if he puts in more or less content. If you collect several bottles/cans, he can make his very own shaker band and if you change the ingredients in the bottle - such as buttons or paper clips - he will have a range of different sounds. Fun toddler activities such as this one encourages your child's imagination, as he creates his own tunes. You can even ask him to put on a performance later in the day for the whole family. 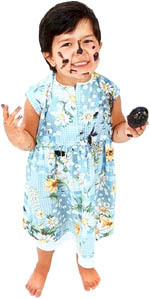 Noise and being thrust into the limelight will definitely appeal to your toddler's vivacious side. Okay, so the idea of allowing your toddler near the oven or microwave may seem like insanity but - when supervised by an adult - cookery toddler activities are a guaranteed hit. Just like we do, children love to feel important, to feel that they contribute with something valuable. Having your toddler 'help' you out in the kitchen (even though the cooking will end up take longer) is a great way to naturally boost your child's self esteem. So if you are too busy to dedicate some special cooking time to your toddler, have him help with the family meal. 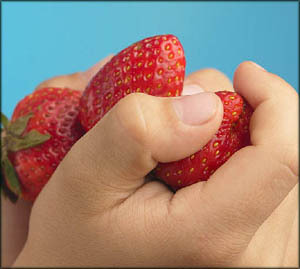 Putting cut out fruit or vegetables into different bowls. Adding already measured ingredients into the dough, dressing or sauce. Helping you taste the sauce and dressing. Carry simple, light and non-sharp, non-dangerous items to the dining table. This does not involve cooking as such, but it does involve a lot of fun for both you and your toddler. Toddler games in the kitchen can do more than encourage cognitive development; it can also give your child the inspiration he needs to try new foods. All you need for this activity is an assortment of mini cheeses, a red bell pepper, carrot and olives, as well as crackers (preferably the healthy rye kind). 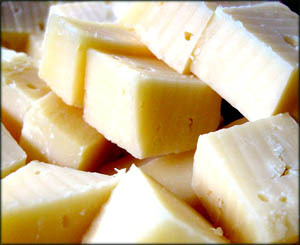 Cut small pieces of red pepper to make a mouth, hair, eyes or anything else you fancy and "dress" one of the mini cheeses. Cut out some more pieces using the olives and carrot and encourage your toddler to create a figure just like you. Once you have a collection of cheese friends, inspire your child to eat one by eating one yourself. She might not like some of the ingredients, but hey, we don't like everything either  This is just a fun way to introduce your toddler to the tastes of new foods. Toddlers and worms go together like strawberries and cream, so your toddler is sure to love making his own worms in the kitchen - especially when he realizes he can eat them without going to timeout. Using cereal bar treats, make a simple crispy cereal treat and mold into the shapes of worms. Using three separate pieces of fruit leather, wrap around your worm holding them in place with a small dot of water at the join. Use thinly cut carrot stick as antennas and berries as big googly-like eyes. Your toddler can either watch you make one and then do his own - or, if you are feeling brave - have him make one while you offer directions. If you have a big box with lots of clothes pegs, this one of fun toddler activities can be great laugh for toddler as there are many things to do with the clothes pegs. And you can do whatever chores you need to do as your toddler will be well occupied next to you. Have your toddler stand up and drop them into an aluminium container. It will not only be fun for your toddler to see if she can hit her mark, it will also make pleasant noise. 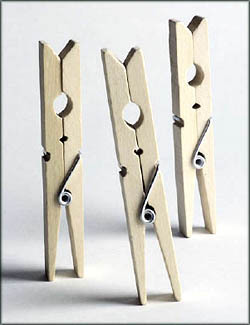 If the clothespegs aren't too tight to press, hang up a piece of string and tell your toddler how to hang up laundry. It doesn't have to be laundry though, your toddler could just be exploring her own room attaching the clothes pegs where she can. 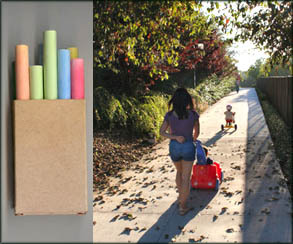 There are many activities for toddlers that can involve the whole family, such as scavenger hunts or hide the item. Again, these games do not have to be extravagant or expensive and yet they will teach your toddler the importance of working as a team. If you have a spare couple of hours, invite a couple of his friends over for a play date. 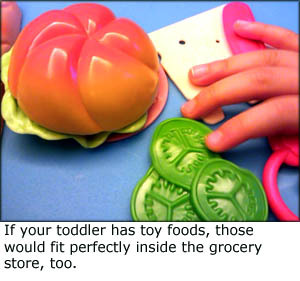 Invite them into your toddler's pretend grocery store, this will add to his imagination for when he is next playing the game alone. Enjoy your time with your toddler because he won't be at this stage for long and you may find yourself at some point in the future longing for the days of making worms and going for balloon kite walks. and Exciting Educational Toddler Games.